Hatte Lust nochmal was zu basteln. Die Stempel sind von Lahn Fawn. Die Prägeschablone die ich das erste mal benutzte von Cuttlebug. What cute little stamps. I love that Swiss dot embossing folder also, it's so useful. CUTE! So fun.. 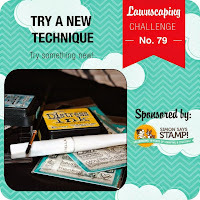 Thanks so much for joining us at the Lawnscaping challenge this week! 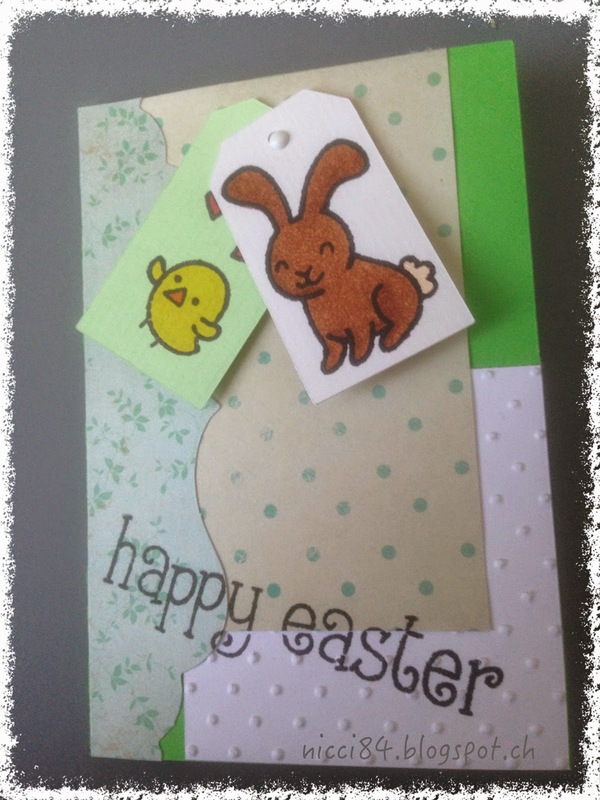 What a super sweet Easter cardl! Thanks so much for playing with us at Lawnscaping. These images are so sweet together. I hope you have a happy easter! Thanks so much for playing with us at Lawnscaping!